[NEWS] 120807 Is JYJ’s Kim JunSu a great eater? 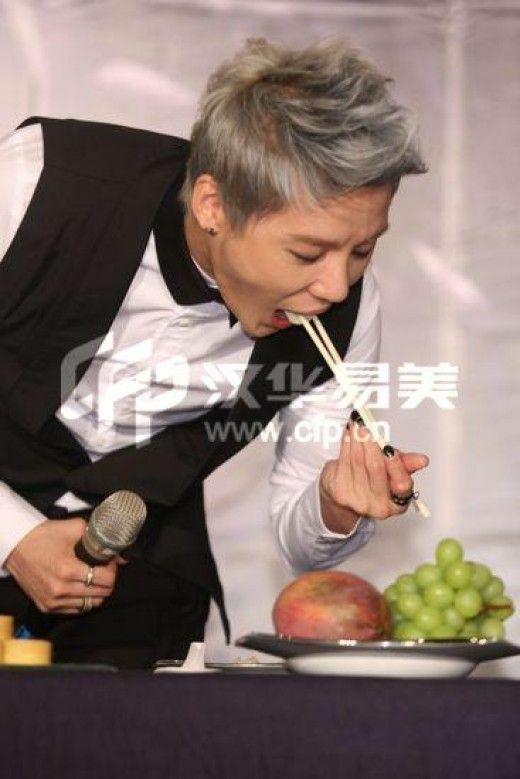 Pictures of JYJ’s Kim Jun Su eating food in Taiwan are drawing a lot of attention. China Photo Press recently released pictures of Kim attending a press conference for his Taiwanese concert on June 22. Kim said that he missed Taiwanese snacks so much because he couldn’t visit Taiwan for almost a year. He said he especially likes bubble tea. 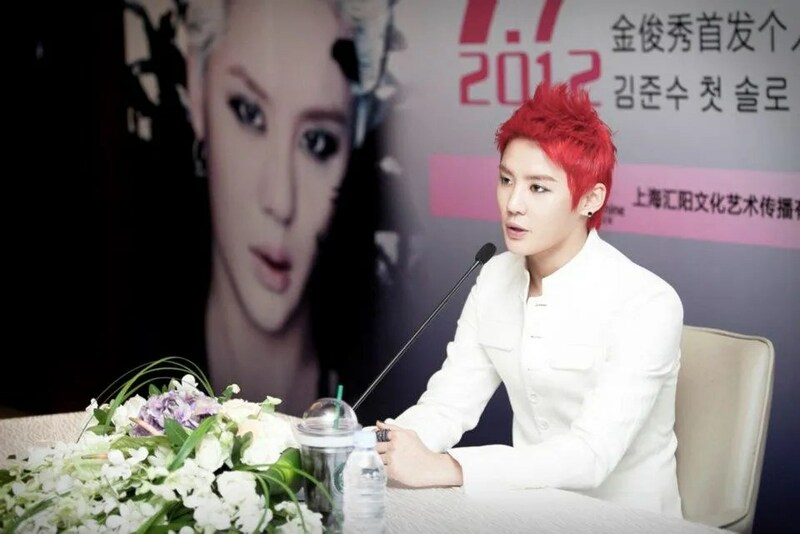 [NEWS] 120625 Why does Kim Junsu have many male fans? 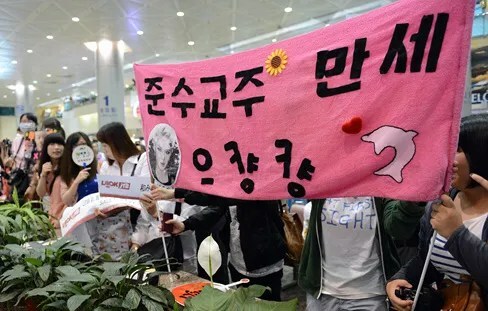 The most special mark of Kim Junsu’s first solo concert held in Taiwan University’s Gymnasium on June 23 is the wide range of his fans – regardless of ages and genders. It was also particularly noticeable that many male fans came to the concert venue alone. Even Kim Junsu noticed this point on the stage, “I can see some male fans here and there. If you are a male fan, please make some noise”. Quite a few of male fans on the spot waved their hands and let out their ‘deep outcry’. Even the female fans at the venue tried to imitate male voice and that scene made all the audience burst into laugher. JYJ’s Junsu came to Taiwan by himself to hold his solo concert, and he appeared with platinum silver hair for the conference. 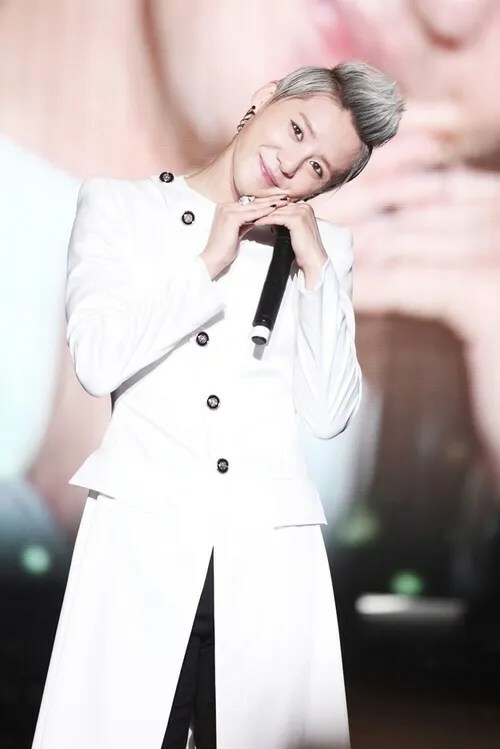 He even showed a bit of Chinese by saying “Hi everyone, I’m Xia Junsu.” Junsu who missed Taiwanese cuisines very much exclaimed “Great!” in Chinese when he tried steamed buns, pineapple cakes, bubble tea and fried chicken. After successful ‘XIA 1st Asia Tour in Taiwan’ concert on June 23 at the Taiwan University Stadium, the local community has shown enthusiastic response to Kim Junsu(XIA). The local media summed up his concert with emotional words – ‘conduct with a wand,’ ‘songs of treasure island.’ In particular, they introduced in details his profile such as his age, body size, and awards career and statistics concerned to the current concert, raising the pubic’s interest. Journalist watching his concert on the spot also unanimously praised his concert. 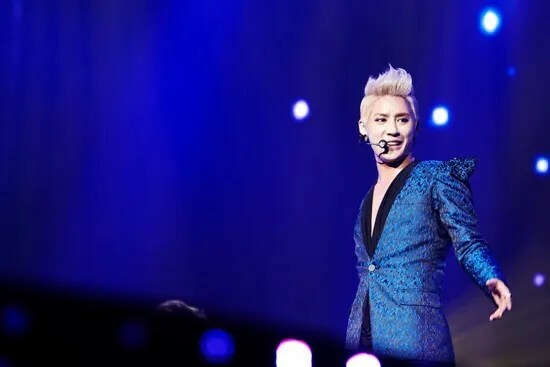 Kim Junsu has successfully performed at his concert in Taiwan. According to C-jes entertainment, Kim Junsu has held a concert at the Taiwan University Stadium on JUne 23, drawing rounds of applause. Kim Junsu is successfully on his first Asian tour, mobilizing a wopping 26000 audience in four countries-Korea, Thailand, Indonesia, and Taiwan. The 5th venue is in China – a concert in Shanghai will be held on July 7. JYJ Junsu‘s philanthropy efforts have spread overseas to his Taiwan fans. The Kim Junsu fan club in Taiwan has recently donated school supplies for 500 children at the “Xia Junsu Village” in Cambodia, which Junsu sponsors himself. The Taiwanese fan club donated supplies like notebooks, pencils, erasers, rulers, pencil cases, pencil sharpeners and more. Each supply was marked with a “Xia” logo.